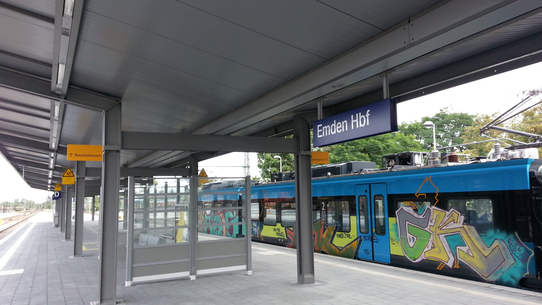 The modernised Emden railway station was ceremoniously reopened on 18 September 2015. During the reconstruction time of 15 months, the three platforms of Tracks 2 to 6 were raised to 76 centimetres and the lifts and footbridge were refurbished. 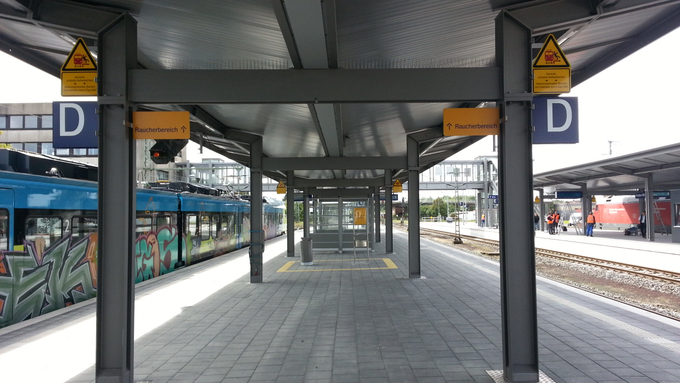 Furthermore, the enclosure of the footbridge and the lighting and sound systems along with the platform equipment were renovated with clocks, information display cases, etc. 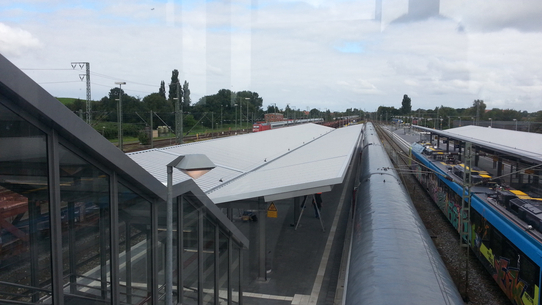 Besides that, the platforms on Tracks 3/4 and 5/6 were provided with two new platform roofs of the Bodenheim light type, which Hering erected on behalf of Albert Fischer GmbH in Elze. The planning from Ingenieurbüro Vössing from Hannover provided for two Bodenheim roofs, each with a length of 78 metres and a width of 11 metres, which were constructed solely during night shifts in the period from the end of February to the middle of April 2015.